Birthday surprise ideas can be big or small. Birthday surprise ideas can range from extravagant to simple, as long as they're thoughtful and designed to delight the recipient. It can be great fun to plan a birthday surprise, as long as everyone involved is able to keep the secret! Any kind of surprise is suitable for a birthday, and if you're limited in what you can arrange, simple surprises often have just as much impact as larger ones would. Here are some suggestions for small birthday surprise ideas which make a big impression. Rather than spending a lot of money on one large gift, you could give several smaller ones. One gift for each year is an especially nice idea. These presents don't have to be expensive; consider things like a bouquet of hand-picked wild flowers, bubble bath, and fresh pastries for a woman, or golf balls, a baseball cap, and fancy marinades or spice mixes for a man. Give the gifts throughout the day, or hide them around the house for added fun. Invite friends and family to arrive at a specified time, without telling the guest of honor that there's a party coming up. Mention that a friend will be stopping by so that the birthday boy or girl will be dressed appropriately. 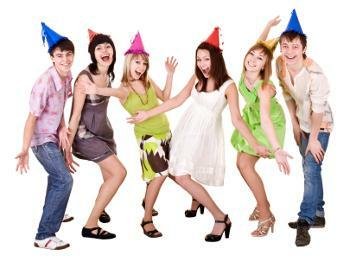 Then let him or her delight in the actual number of people who arrive for the surprise party. For an even easier party, make it a potluck. The day before the birthday, pick up lots of inexpensive helium-filled balloons. You can often find these at dollar stores. Attach several balloons to heavy items such as books or coffee mugs, and hide them. After the birthday celebrant has fallen asleep, bring out the bunches of balloons and place them all around the bedroom, so when he or she wakes up, it looks very festive and fun. If a milestone birthday, such as a 40th or 80th birthday, is being celebrated, a more elaborate surprise is called for to create a lasting memory of the big day. These can cost quite a bit of money, but the results will be worth it. Many people love the rush they get from extreme sports. If the person celebrating a birthday is among them, plan for a day full of fun and adventure. Bungee jumping, wakeboarding, surfing, inline skating, and indoor or outdoor climbing are all great options. Invite along a group of friends to share in the activities, and make sure to take lots of pictures to present in a keepsake photo album afterwards. Planning a vacation may not seem like much of a surprise, but there are many ways to pull it off. You can book the trip and only mention what sort of weather the guest of honor should pack for, leaving the destination a surprise until you get to the airport. You could also arrange for friends and family members to arrive after a couple of days to participate in the ultimate surprise party. Alternatively, plan some fun activities to take part in while you're away for a surprise. This type of announcement makes a big impact, and you can use this type of media to let the birthday celebrant know about an upcoming party in his honor, or a special dinner to celebrate the day. No matter how big or unusual your birthday surprise may be, it's important to keep the guest of honor in mind when you're in the planning stages. Not all surprises are appropriate for every personality, age, or fitness level. However, as long as your surprise ideas are thoughtful and suitable, they are sure to be appreciated!